The Prestige Series brings the legendary excellence of Baldwin into more homes and more hands. With the Prestige Series, any homeowner can instantly create an atmosphere of confidence from the moment someone knocks on the door. Our new Spyglass family offers affordable luxury with effortless style. 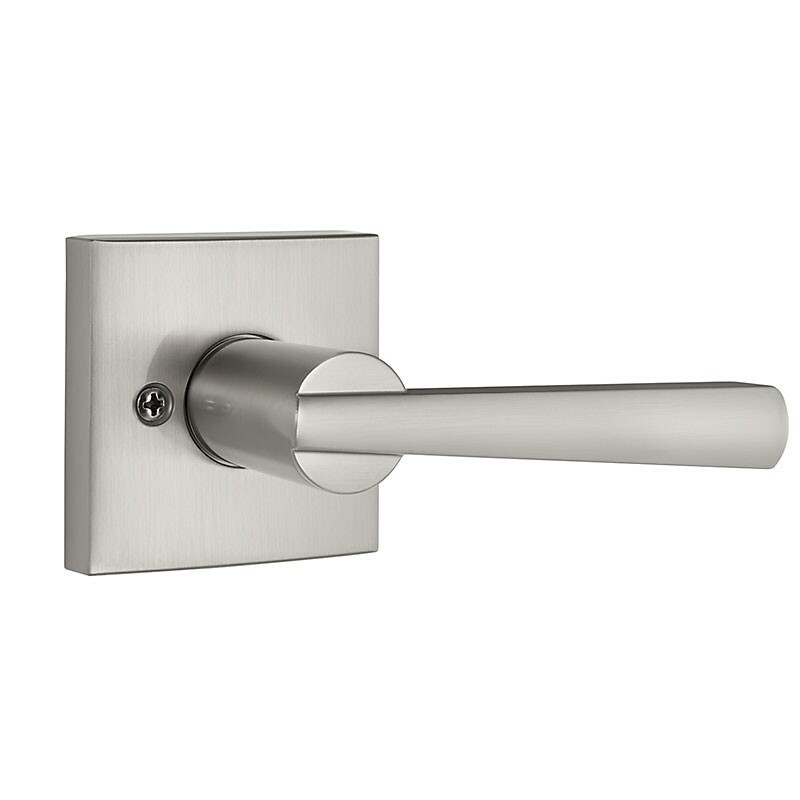 The contemporary inspired lever and square raised offer transitional style with a clean aesthetic and modern lines. The crisp, clean appearance of the Satin Nickel finish adds to the overall look of the product and brings a modern feel. This half-dummy, or trim function, is surface mounted on doors where only a pull is required.